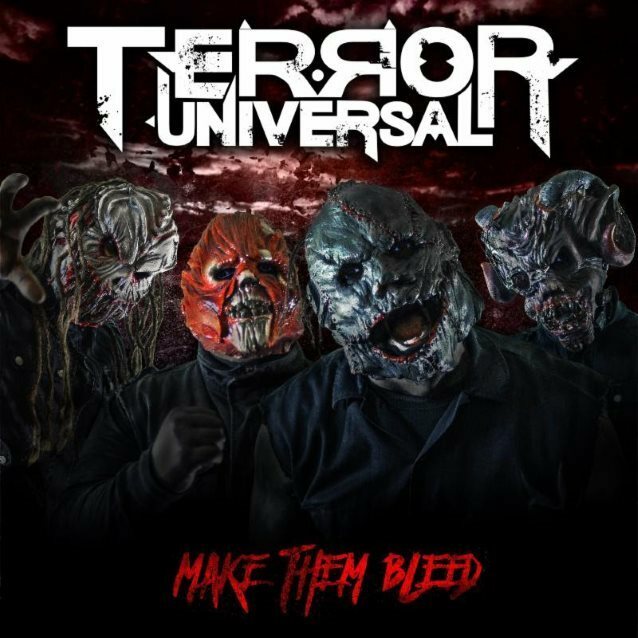 "Make Them Bleed", the title track of the full-length debut from TERROR UNIVERSAL, the "horror metal" band featuring ILL NIÑO drummer Dave Chavarri (who also previously played with SOULFLY), can be streamed below. Due on January 19, 2018 via Minus Head Records, the disc will feature guest appearances by bassists John Moyer (DISTURBED, ART OF ANARCHY, ex-ADRENALINE MOB) and Tony Campos (FEAR FACTORY, MINISTRY, SOULFLY, STATIC-X). Campos appears on the track "Dead On Arrival", and Moyer can be heard on "Spines". Vocalist Plague says: "We hope everyone enjoys the title track from our new album, 'Make Them Bleed'. 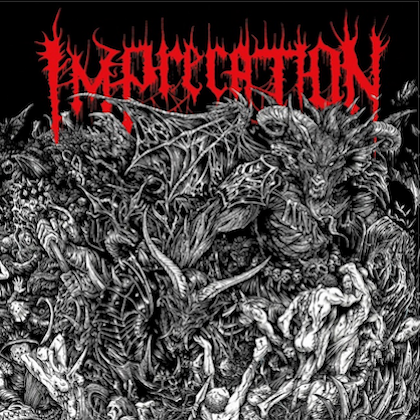 We chose to release this track first because it really captures the totally dark, heavy vibe that makes up TERROR UNIVERSAL and the entire album. It's a great taste of what's to come on the rest of the record, and we think you'll really like this track and it'll become part of your daily soundtrack. We're stoked to roll out this record for everyone leading up to the release date — we're really proud of it. Enjoy." You can pre-order "Make Them Bleed" right now via Bandcamp or via the band's PledgeMusic campaign. PledgeMusic pre-order incentives include digital download cards, signed CDs, limited-edition posters, t-shirts, stickers, limited edition blood-splatter vinyl, signed gear (including a guitar, drumhead and drum sticks), one-on-one music lessons, and more. Guitarist Ahrue Luster (ILL NIÑO; formerly of MACHINE HEAD), who played with TERROR UNIVERSAL in the early stages of the band, has not been involved with the group for over a year.